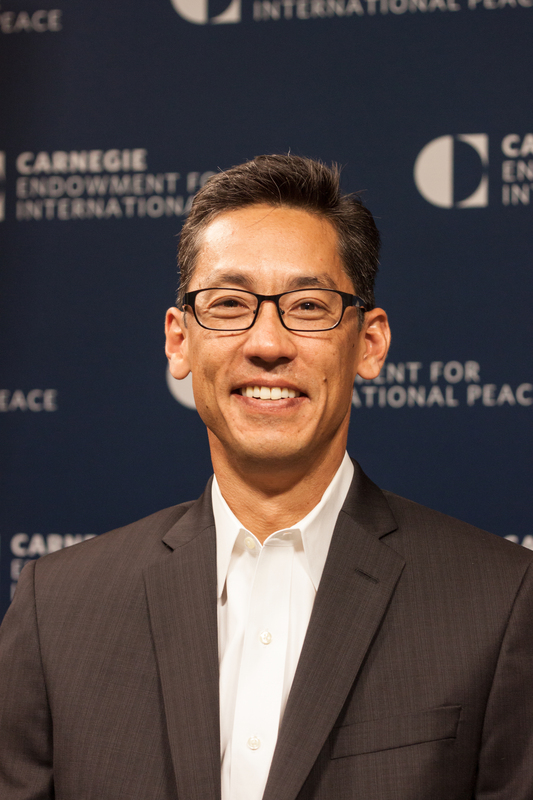 Rexon Ryu is a nonresident senior fellow at the Carnegie Endowment for International Peace, where he leads an initiative focused on the intersection of diplomacy, technology, and innovation. Ryu has nearly two decades of experience working in global diplomacy and at its complex intersection with national policymaking. He has worked at the highest levels of the U.S. government on the foreign policy and national security challenges facing our nation, notably in the Middle East and Asia. Ryu helped lead and manage the Department of Defense, the world’s largest organization of nearly three million personnel with a budget exceeding $500 billion. His work included helping to expand strategic alliances and relationships, project U.S. influence globally including by advancing U.S. commercial and trade interests, employ U.S. power against adversaries, prevent the proliferation of weapons of mass destruction, and plan for future challenges and opportunities. In his government service, Ryu most recently served as chief of staff to secretary of defense Chuck Hagel. He worked closely with the secretary and the department’s civilian and military leaders on all of the top issues, including combatting terrorism in the Middle East, the strategic rebalance to Asia, accomplishing far-reaching institutional reform, and advancing the U.S. military’s innovation and technology advantage. Ryu worked on the president’s National Security Council staff from 2009 to 2011, during which time he was focused on nonproliferation, Iran, and North Korea. He served on the U.S. delegation for several rounds of multilateral negotiations with Iran. At the State Department, Ryu served between 2011 and 2014 as the deputy to the U.S. ambassador to the United Nations. In this capacity, he directed the ambassador’s Washington office under both Susan Rice and Samantha Power and participated in the National Security Council’s Deputies Committee as a standing member. Ryu worked for four years in the U.S. Senate as the foreign policy adviser for then-U.S. senator Chuck Hagel. He began his public service career at the State Department, where he served abroad in both Cairo and Jerusalem, and as a special assistant to then-deputy secretary of state Richard Armitage.